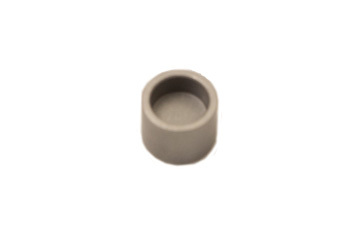 Our VAC Lash Caps are designed to fit on the valve stem tip and are available for 7mm diameter valves for nearly any engine. Not just for BMWs; our Lash Caps are popular for everything from Small Block Chevys to Ferraris. We try and stock a variety of thicknesses for 7mm valves for your convenience from .040" (1mm) to .200" (5mm) thick. We can also special order any size in quantity for your engine building machine shop needs. Our Lash Caps are race proven, light weight and super wear resistant, hardened for durability and reliability, and can be ground down to your desired thickness. If you require several specific thickness lash caps, we can offer our precision grinding service that we perform in house on our automated machine. This offers exceptionally close tolerances for your build. From Anonymous of Southfield, Michigan on 3/7/2013 .